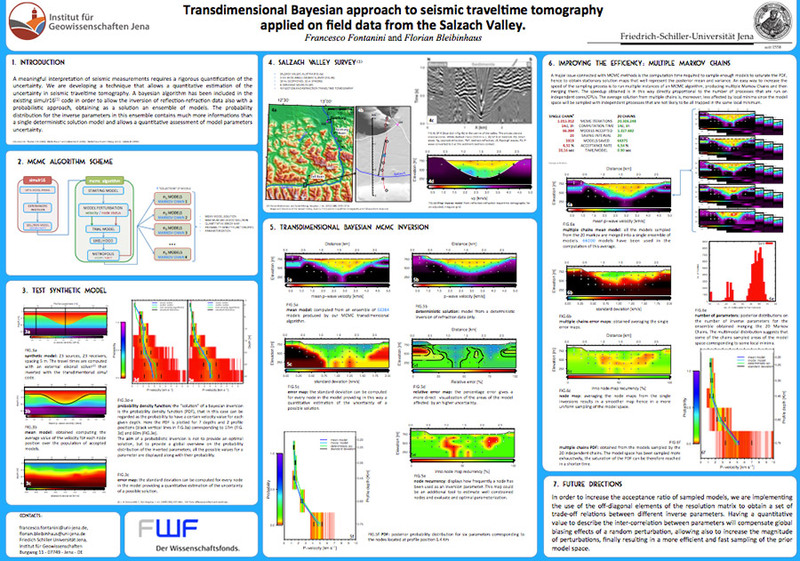 Title: Probabilistic uncertainty estimation for 2D/3D refraction-and-reflection-seismic traveltime tomography. 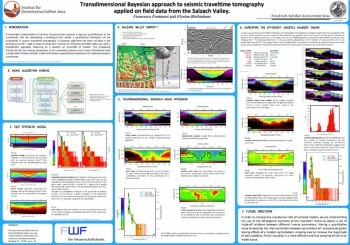 Abstract: Seismic tomography is, together with many other techniques for geophysical imaging, an inverse problem and it’s deeply connected with issues as non-uniqueness and indetermination of its solutions. Inverse problem theory combines the information coming from measured data, physical laws and other kinds of prior knowledge in order to deduce new information on the system itself. Our case of interest, seismic travel time tomography, processes the information contained in the travel times of seismic waves to infer some mechanical properties of the sub surface, which will be represented in one solution of the tomographic inverse problem. It’s known that inverse problems are often under-determined, there are more unknown than constrains, hence this solution is mathematically non-unique and, like every outcome of physical measurements, naturally affected by errors. Bayesian approach to seismic tomography faces these issues, providing not a single-model solution, but characterizing instead the model space through probability density functions (PDF), which allow also a quantitative estimation and depiction of uncertainties.